Today I’ll introduce you to the probably world’s best oven baked potato wedges also known as western or country potatoes. They are fabulously spiced, low fat, wonderfully crispy and convince with a pure potato flavor inside. 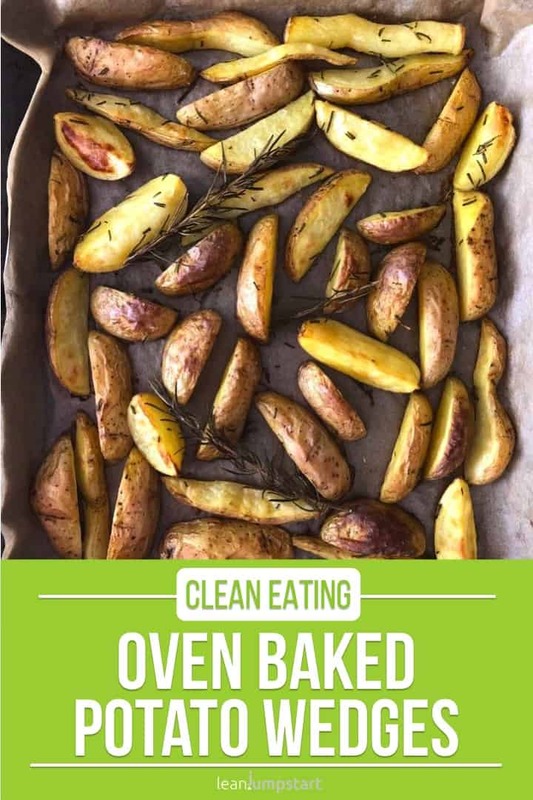 I’ll start with my easy potato wedges recipe, which needs just 4 ingredients and you could literally “set and forget it”. This very simple, delicious recipe tastes better than a store-bought frozen option and it is also much cheaper. With this tasty recipe at hand you can finally forget about the unhealthy and yet often seducing deep fried versions. If you want to take it to the next level, make sure to read until the end of this blog post. 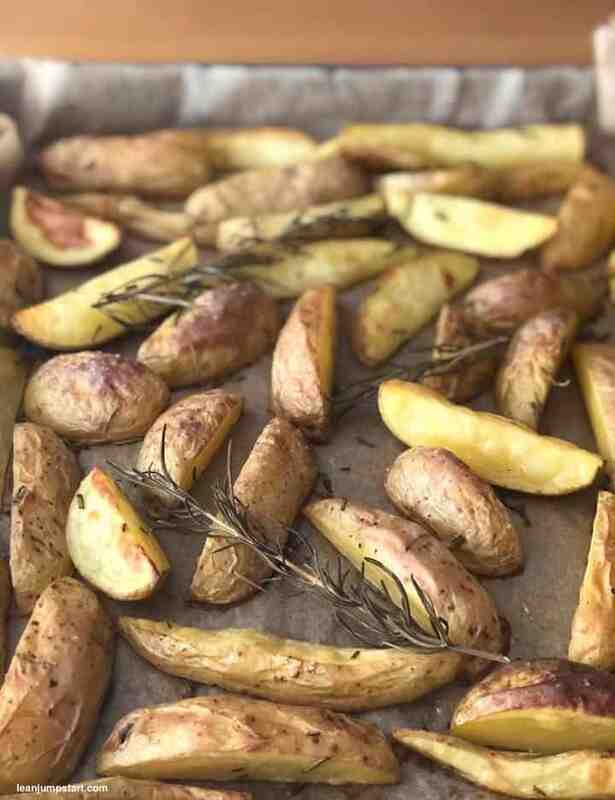 We eat it often as main dish with dips, but these oven potato wedges are also a perfect gluten free side dish with vegetables (e.g. kale), fish or meat. Since they are quickly prepared and bake most of the time alone in the oven, you can also use them as an ideal addition to any party buffet. Homemade potato wedges need no pre-soaking or parboiling and is an all-rounder that everybody will love! How to cut potato wedges? First of all, we have to get our veggies into shape. As most vitamins are under the skin, I do not peel the potatoes. Instead, I brush them clean with a hard vegetable brush under running water and pat them dry. I highly recommend using organic potatoes for this recipe. From one large starchy vegetable I cut eight wedges of the same size, while I usually quarter a medium sized vegetable. If you want to ensure that all wedges cook evenly, it is important that the pieces have the same size. In my case this seldom happens as my organic tubers come in all shapes forcing me to use a combination of longer wedge eights and chunky potato quarters. Overall we love this irregular, homemade look and feel. 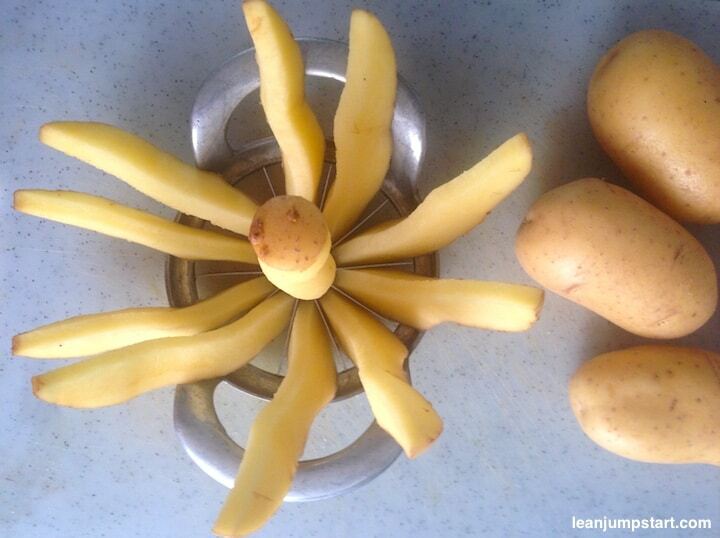 If the potatoes are properly sized, you can also use an apple divider (see picture below). By the way, the only time I’ve used an apple divider to cut them was for this photo. There are many options to season country potatoes, but I love to keep it simple just with oil, sea salt and rosemary from my garden. Put all the sliced potatoes in a bowl. Season with a tablespoon of rapeseed oil sprinkled over the tubers. Now add fresh rosemary and salt. Sidebar: Many recipes call for at least 3-4 tablespoons of oil per 1 kg of veggies. You’ll also find chefs on the web who skip the oil altogether. But I feel that with 1 tablespoon of oil they are still crunchy and also sticky enough for the seasonings. You have to test it and see what works for you. Toss the potatoes in a bowl until the seasoning mixture and the oil have been evenly spread onto the wedges. Alternatively, put everything in a freezer bag, close it and shake until everything has mixed. – …And many more, the sky is the limit! Just play a little with the spice mixture and use spices that you like the most. After rosemary, smoked red pepper powder is my second favorite seasoning for this recipe and I alternate between those two seasonings. Sometimes I use a combination of rapeseed oil, salt, rosemary and (smoked) red pepper powder. These sheet pan vegetables require a fairly high heat of about 200 °C/390 °F. They must also bake in the oven for at least 40 minutes. I was once was in a hurry that’s I’ve kept the wedges all the time in the oven without turning them around. For us they turned out great and still tasted delicious. We love it when the sheet pan potatoes get so brown and crispy on the outside and the inside shrinks to a fluffy consistency. Of course you achieve more crispiness when you bake the wedges until they are golden brown for 20 – 30 minutes and then turn them and bake them for another 10 minutes. If you love extra crispy results make sure to read until the end of this blog post. Line 1 large baking sheet with parchment paper; set aside. Season sliced potatoes with rapeseed oil sprinkled over the potatoes. Add fresh rosemary and salt. Toss the potatoes in a bowl or plastic bag until the seasoning mixture and the oil have been evenly spread onto the potatoes. 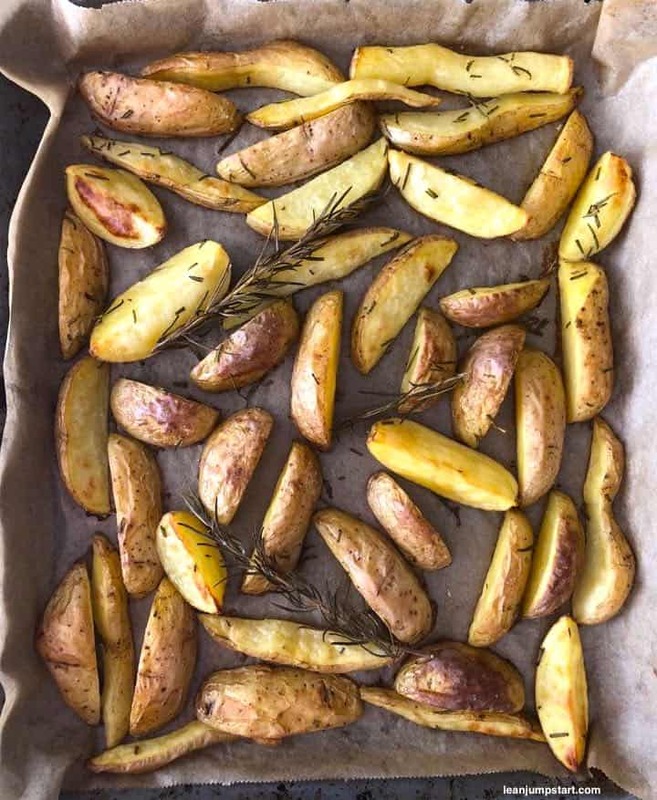 Arrange wedges in a single layer on a large baking tray. For more crispiness you might want to turn them around with a spatula after 20 – 30 minutes. I always serve ketchup and mostly also a sour cream or tzatziki with this family favorite. Diving wedges or French fries in ketchup awakens childhood feelings in me and I will probably love and keep this habit forever. Ketchup is mandatory! Luckily my homemade clean eating ketchup is sugar free and clean. A sour cream tastes also terrific with potato wedges and thus I dip wedge by wedge alternately in ketchup and cream. Yummy! 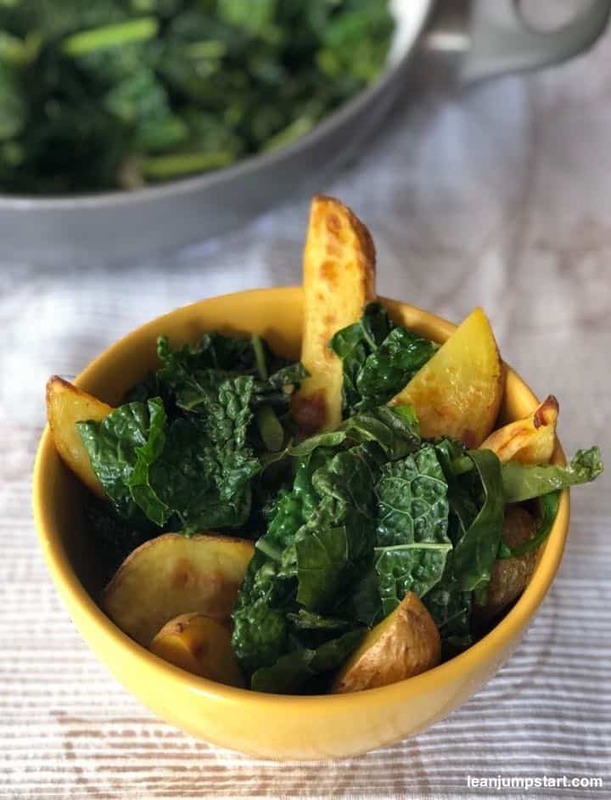 Another way is to create a healthy potato wedges bowl with garlicky sauteed kale. Wonderful! Spread the oil evenly on the wedges before baking. The seasoning will only follow versus the end of the baking process. After 20 minutes, take them out of the oven and turn them with a spatula. Bake in the oven for another 20 minutes until the outside is crispy and the inside is still soft. Place the potato wedges in a large bowl, add seasonings and toss them until the seasoning mixture has been evenly spread onto the potatoes. Put wedges back on the baking tray and bake in the oven for another 4-5 minutes. Take them out and serve the crispy baked delicacy as soon as possible. Extra tip 1: The wedges become especially crispy when placed on the side with the peel. Such a healthy alternative to fries! My kids would love these! These do look deliciously crispy! I love the addition of rosemary! Thank you Danielle! 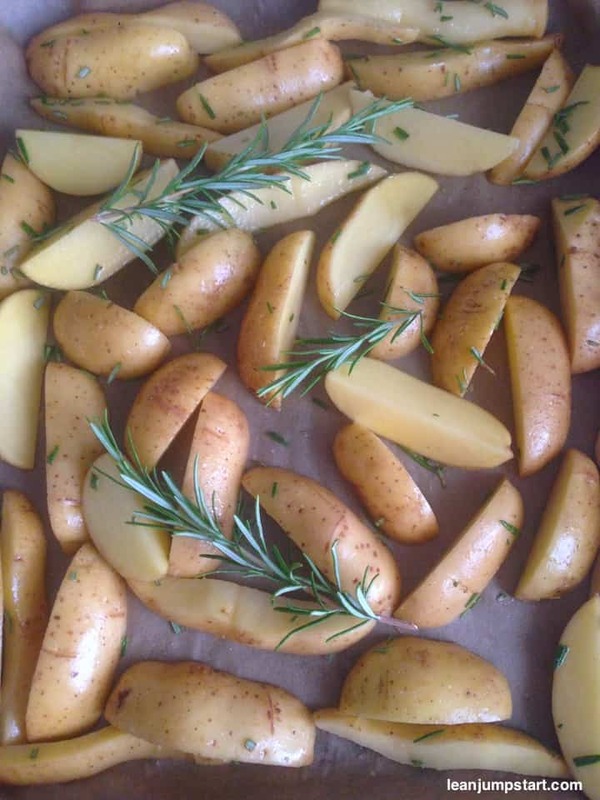 I can relate to that as rosemary is one of my favorite herbs and a perfect match with oven baked potatoes. These always make a great side dish, a total go-to. I love all of your seasoning options. I usually go with a nice Cajun blend. Looks great! I think my favorite thing about this, beside the fact that it’s potato wedges (YUM! ), is that you use an apple divider to make them! That’s so cool. 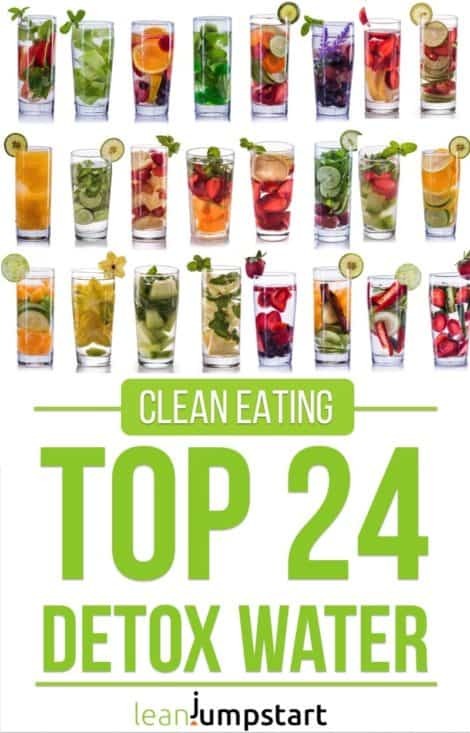 Just pinned this…thanks for the great recipe! Thank you Traci, I’m happy that my apple divider tip could inspire you. But to be honest, I’ve used it just for demonstration. Usually I just cut the wedges by hand because my potatoes are quite irregular. This is my favorite go-to baked potato recipe. I also love adding rosemary, it adds so much flavor. Haha, so we seem to be “taste twins” Iryna. Yes without rosemary a big chunk of flavor would be missing for me. These are right up my alley! Love fresh baked potatoes. Especially with the skin on. Yes, with skin they taste not only better but you get an extra portion of nutrients too:) But in this context I highly recommend to use organic potatoes.